SFERA Movement is engaged in international voluntary projects since 2007. We offer an opportunity to go to any country for a duration of between two weeks to a year and we also coordinate voluntary projects in Russia. We work with volunteers from all regions of Russia and Kazakhstan. 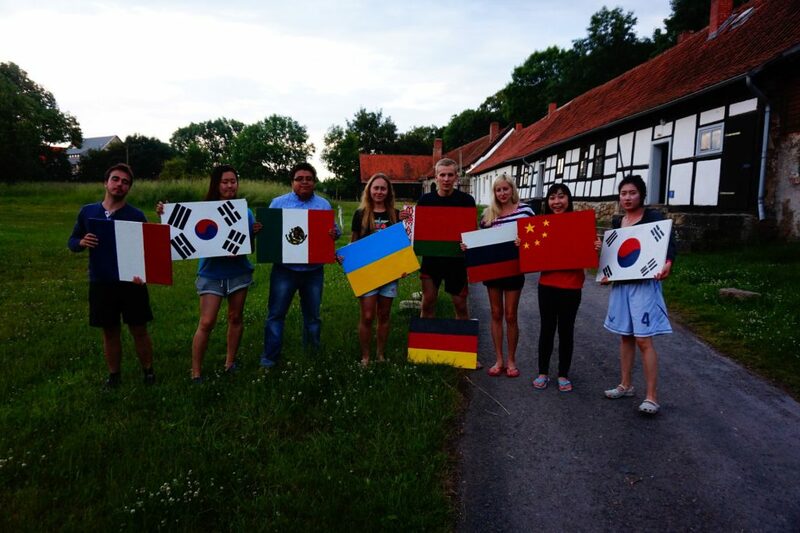 Becoming an international volunteer is simple, and we have already helped more than 5 000 people to gain this experience. Join now! Why should you become a volunteer and go abroad (or come to Russia as a volunteer)? Mission of our organization is to create equal opportunities for self-realization and satisfaction of the public needs of all people through volunteering and charity. SFERA Movement has been working in the field of development of international initiatives with the participation of Russian youth since 2007 and is a member of the Alliance of European Voluntary Service Organizations, the Coordinating Committee for International Voluntary Service at UNESCO, National Youth Council of Russia, implementing a number of projects with the support of the Council of Europe. Also, SFERA Movement actively works with the Erasmus+ program and European Solidarity Corps and advises on the implementation of Erasmus+ Youth projects and participation in them (for more details click here). Full membership in the Alliance of European Voluntary Service Organizations allows us to ensure a high quality of projects for which we send our participants as well as projects with foreign volunteers implemented in Russia. Organization of international workcamps on the territory of Russian Federation. Since its inception, SFERA Movement has already organised almost 100 camps in various regions of the Russian Federation. Sending Russian volunteers to workcamps abroad. Every year we help up to 400 young people from Russia to travel to such projects. You can find their testimonies here (in Russian language). Implementation of long-term projects in Russian Federation with participation of foreign volunteers within the framework of the European Solidarity Corps (formerly Erasmus+ Youth program, EVS). Since 2007, we have helped to implement more than 150 long-term social projects in Russia. So, if you want to come to Russia within ESC, you’re on the right spot 🙂 More information here. Sending Russian youth to long-term voluntary service projects abroad – already more than 350 Russian volunteers took part in various social projects. You can find their stories here (in Russian language as well). Organization of youth exchanges, conferences, forums, seminars, trainings on non-formal education and leadership, volunteer actions, etc. on the territory of Russia and sending Russian participants to similar projects abroad. Since 2007, we have organised more than 30 local and international events. Additionally, more than 100 young Russian activists have been sent abroad to participate in training programs. If you want to organize training or youth exchange together with us, feel free to write to ltv.sfera@gmail.com. At the moment SFERA actively cooperates with youth organizations from more than 25 regions of Russia. Join us and discover the wonderful world of international volunteering!